James Creighton has been saluted as "The Father or Godfather of Organized Hockey." Some observers elevate him to the title of sole "Inventor of Hockey." J.G.A. Creighton made no such claim. He simply said: "I had the honour to be captain of the first regular hockey club to be formed in Canada." When his death was recorded in Ottawa newspapers in 1930, his recreations were listed as "exploration, salmon-fishing, angling generally and ice skating." He also enjoyed golf and book collecting. His exemplary effort as a hockey pioneer in occasional games a half-century before was overlooked. In these days when amateur and professional players grind out 82-game schedules, plus playoffs, it is hard to conceive what a hockey season consisted of when Creighton, a scholar and an engineer, moved the outdoor game into a covered rink in Montreal in 1875 and created a new activity with nine players a side. He was the key organizer in "annual matches" - some times single games or home and home contests - against the one or two other semi-organized clubs in the Quebec metropolis. Creighton, who had seen a stick-ball game played on ice in his native Halifax, participated in nearly every recorded game in the first few years of the history of hockey in Montreal. In total, his games on natural ice would not amount to as many games as modern players participate in, during pre-season exhibitions. But they were vital in hockey's embryo stage. It was a time of learning and development of the new sport and Captain Creighton, was a leader and an instructor before hockey had devised coaches. In his third season he was praised for encouraging his team "to play into each other's hands." He was an innovator - a facilitator. Although coming from Nova Scotia, where a free-wheeling game called "rickets" or "hurley" had been played for 40 years, Creighton favoured the introduction of offside rules both in rugby and hockey in Montreal. That is, playing behind the ball or puck, and prohibiting forward passing. The rudimentary rules were written on a single sheet of paper. In hockey's formative days, Captain Creighton had other thoughts on his mind besides this novel game. He obtained a law degree at McGill University and financed it by working in the parliamentary press gallery for The Gazette of Montreal. In 1878, after marrying Montreals Eleanor Platt, Creighton played for the "Benedicts" in an exhibition game against the "Bachelors." 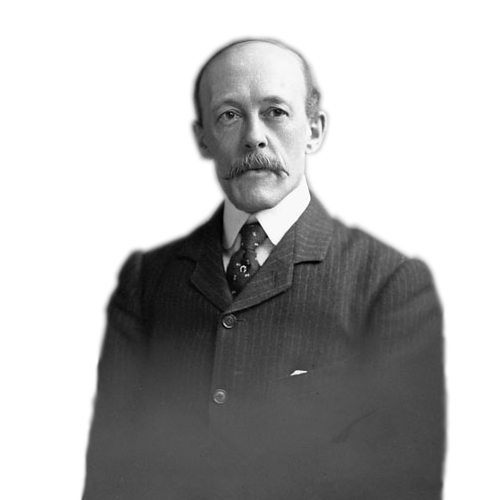 In 1882, he was appointed to the prestigious position of Law Clerk of the Senate and shared his time in Ottawa, where the game was about to be introduced by other McGill graduates. In 1889, Creighton suited up with the Parliamentary and Government House teams, featuring the sons of the Governor General, Lord Stanley. This team of MPs, Senators and aides-de-camp, developed into the Ottawa Rebels, which helped popularize hockey through exhibition games in Ontario. He retired as a player in his 40th year, but retained his interest in figure and pleasure skating. He was much more than a sportsman, of course. He was a fine scholar from his youth-entering Dalhousie University at age 14 - studying mathematics, experimental physics and metaphysics with students aged 17 to 25, and graduating with Honours. Off the sports field, he demonstrated a different demeanor. He evoked a love for outdoors and a special appreciation of French Canadians and their language. A Senate colleague described him as "quiet and retiring." Fellow members of the Rideau Club, where he died in conversation, praised his geniality. Creighton left an indelible mark as railway surveyor, canal engineer, parliamentary reporter, magazine writer, book collector and author, consolidator and translator of Canadian laws and peerless pioneer of Canada's National Winter Sport. 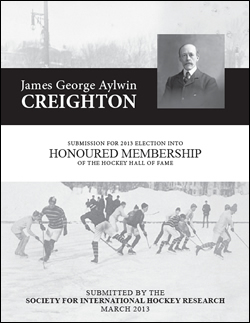 The Society for International Hockey Research believes that James G. A. Creighton deserves to posthumously become an honoured member of the Hockey Hall of Fame, because he was the driving force behind the first organized ice hockey game in Canada on record, in Montreal, in 1875 and participated in nearly all subsequent ice hockey games in the following five winters during which it was played. As such, the Society petitions the Hockey Hall of Fame annually to consider Creighton for induction into Honoured Membership in the Builder category. Lend your support by visiting and "liking" the facebook page dedicated to Creighton. 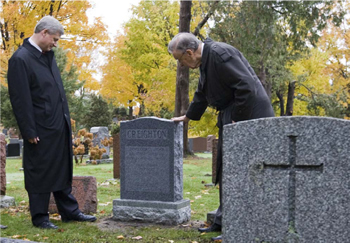 On October 24th, 2009, the Society for International Hockey Research hosted an unveiling ceremony of a monument and plaque honouring Creighton at Beechwood National Cemetery in Ottawa. The monument honors both James Creighton and his wife Eleanor, who's final resting place had remained unmarked for over 70 years. James Creighton was among the many prominent hockey figures featured as part of the 2011 Hockey Heroes Tour at Beechwood Cemetery. 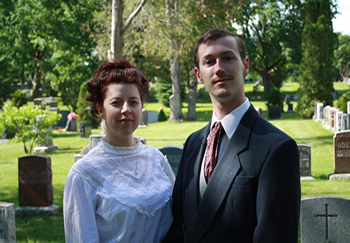 The event was sponsored by the SIHR and featured actors from the Orleans Young Players Theatre School.